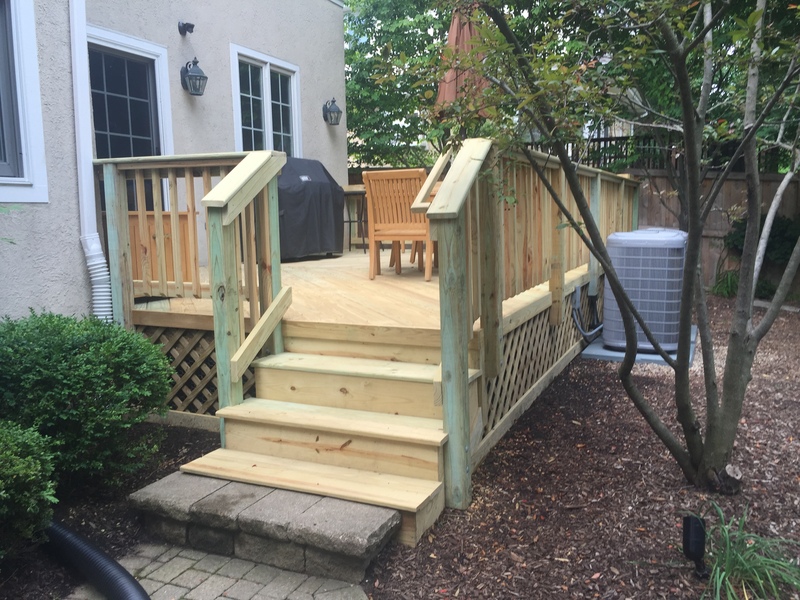 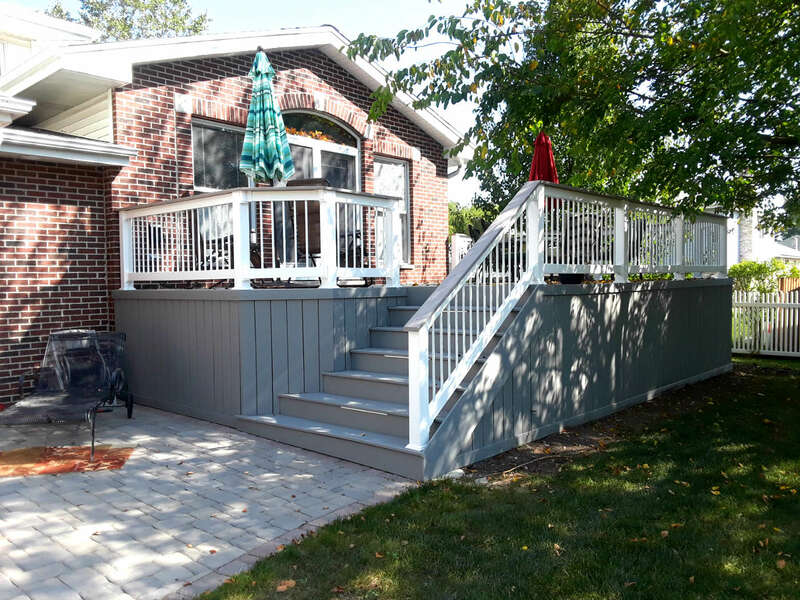 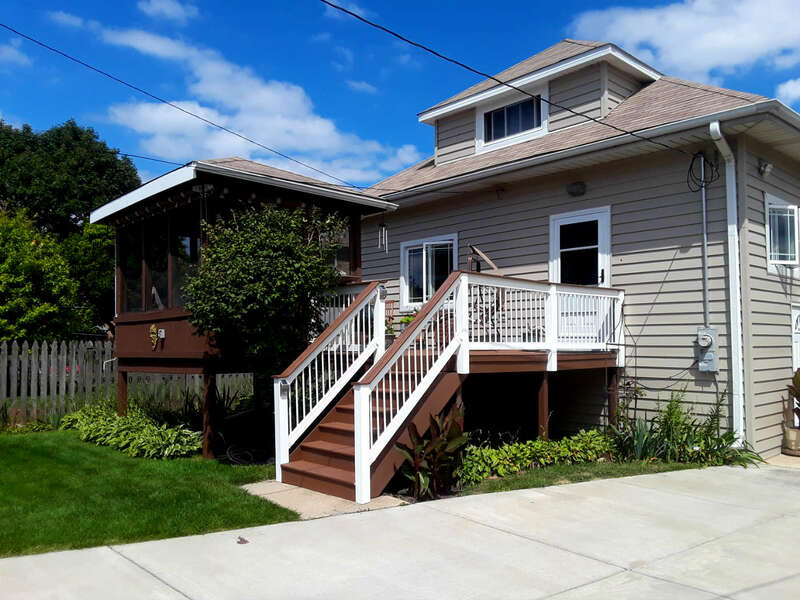 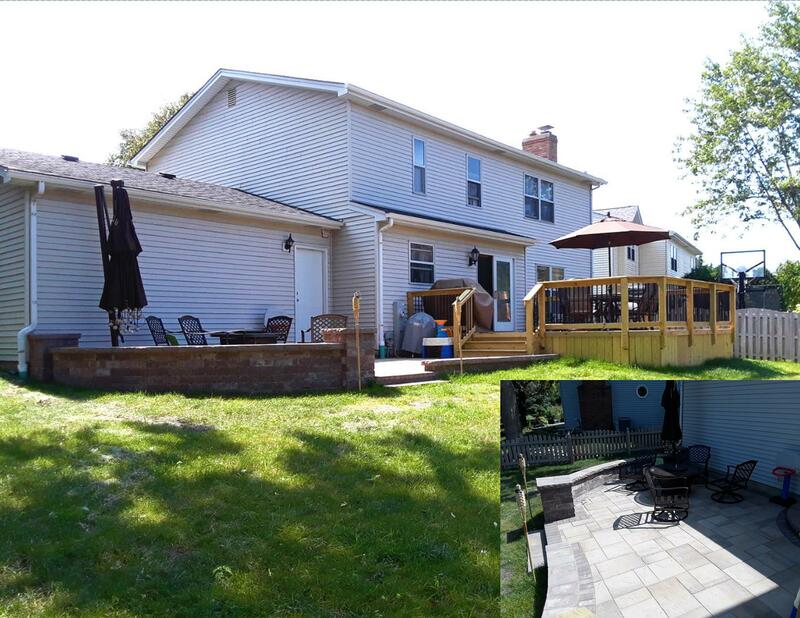 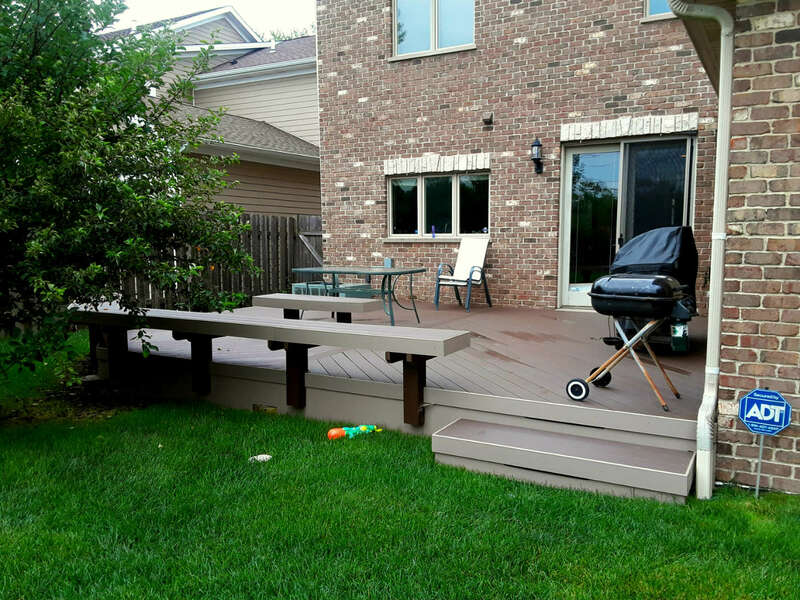 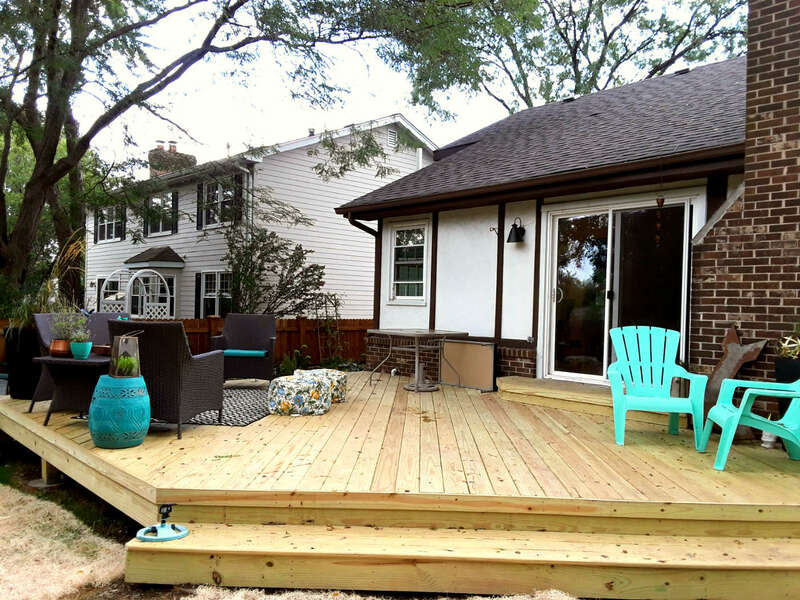 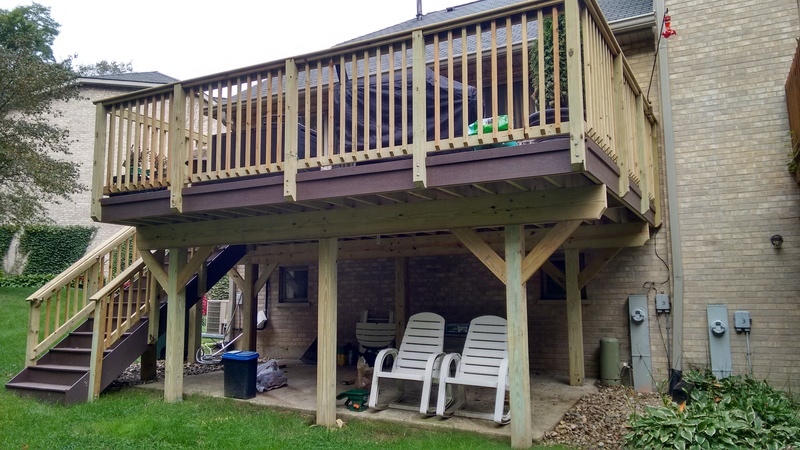 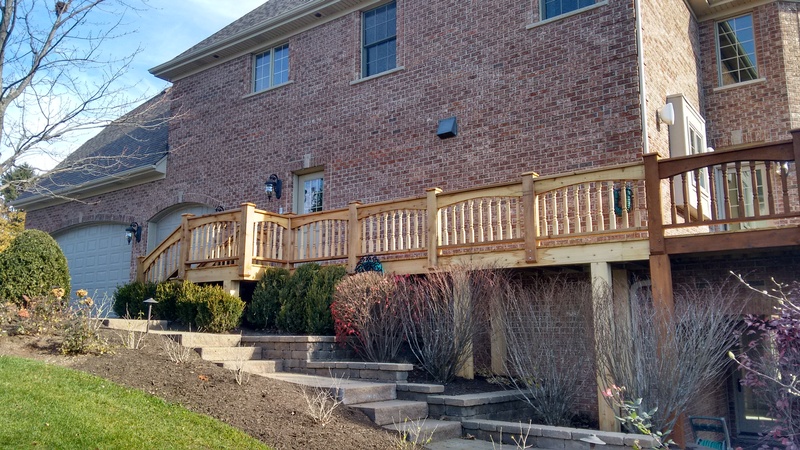 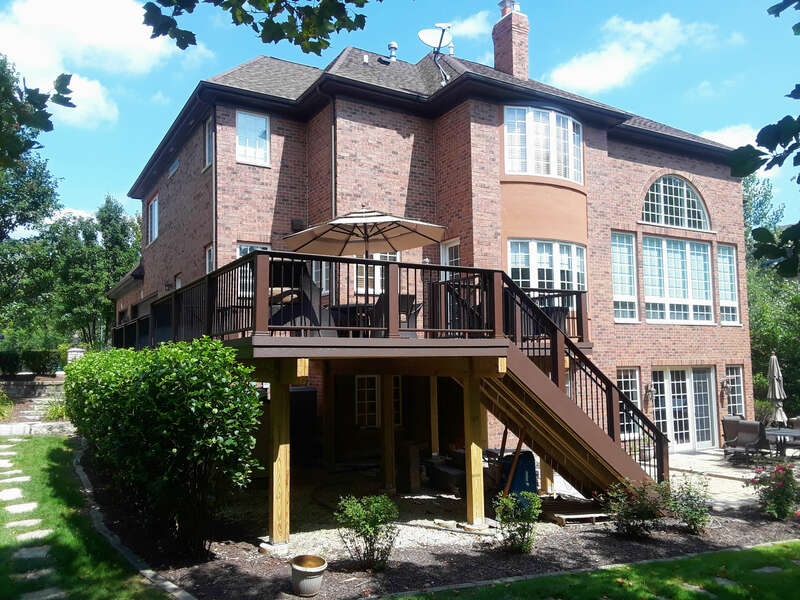 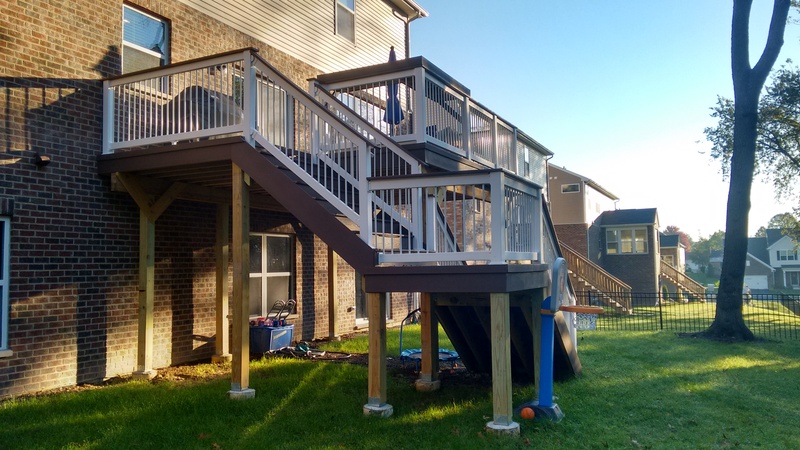 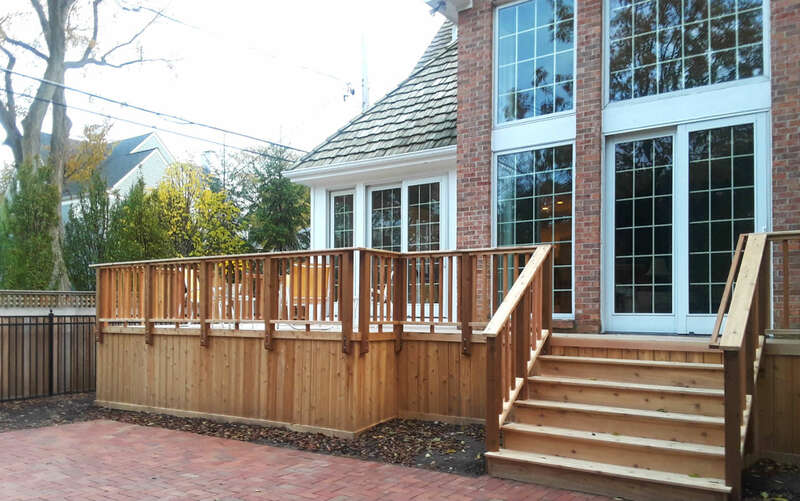 Elevated Wood Deck by Glen Ellyn, IL Deck Designer. 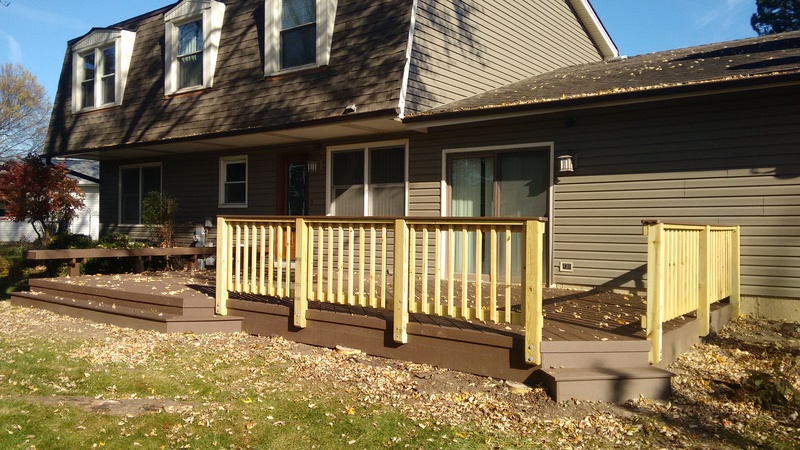 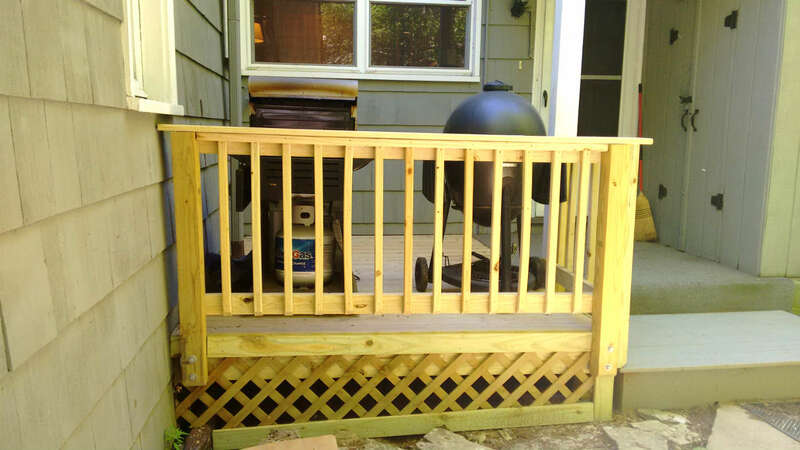 Elevated wraparound deck using pressure treated pine decking. 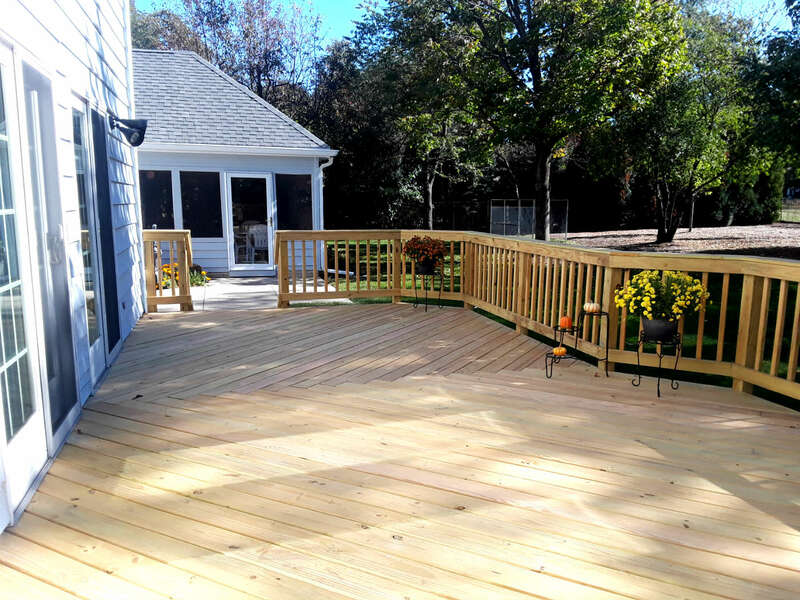 Wood Vs. Low Maintenance Decking -Which is the best option for you? 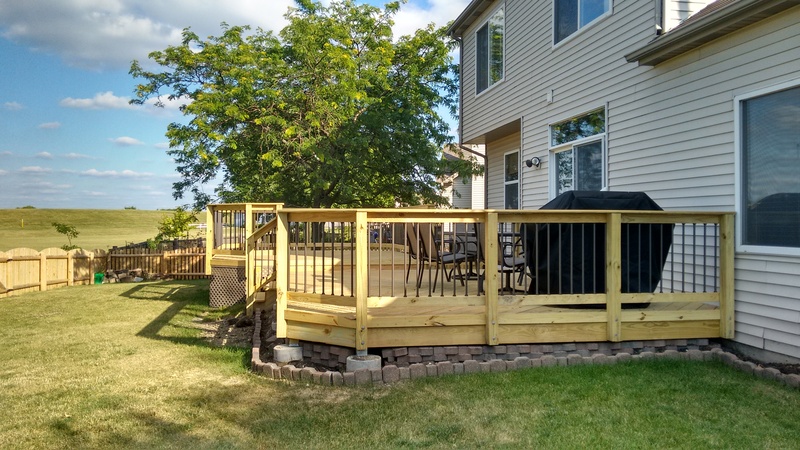 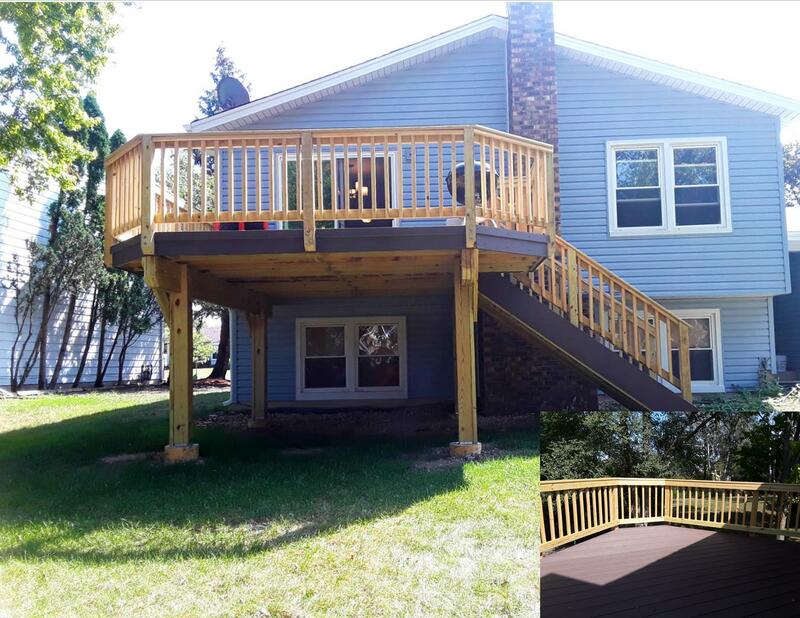 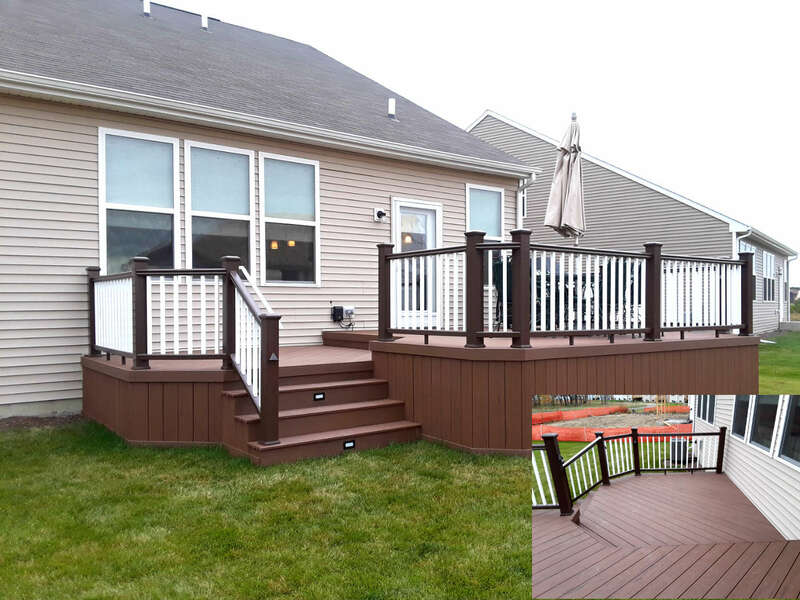 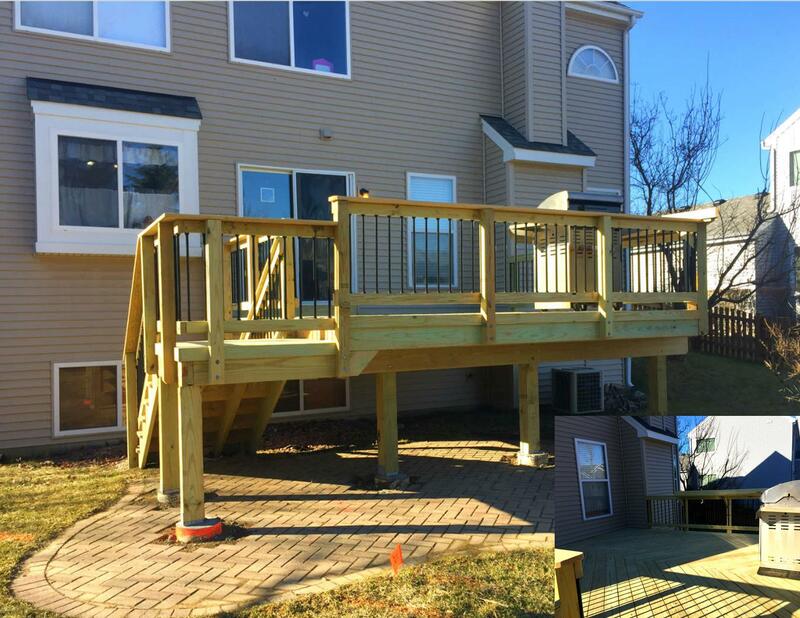 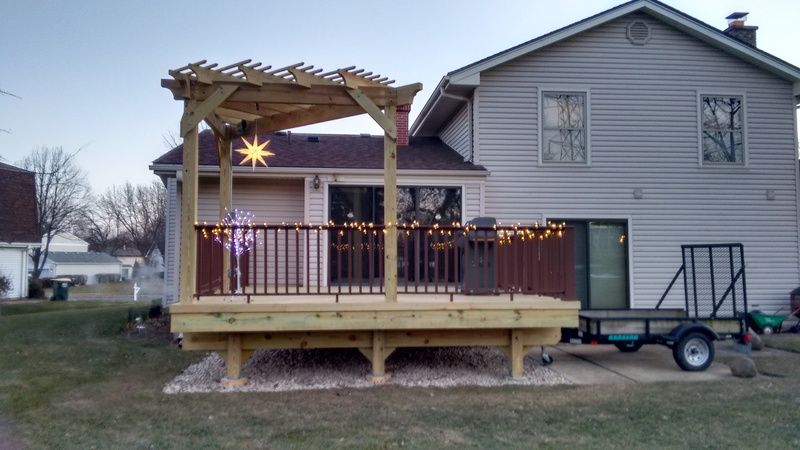 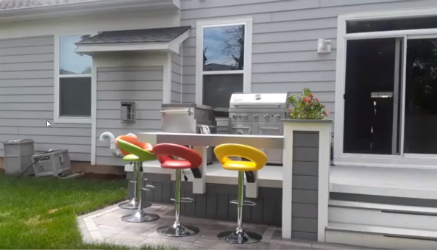 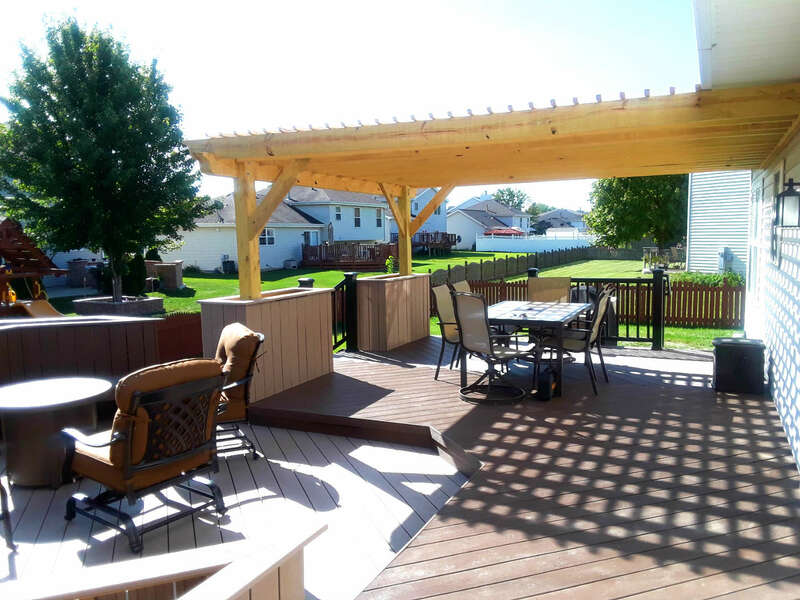 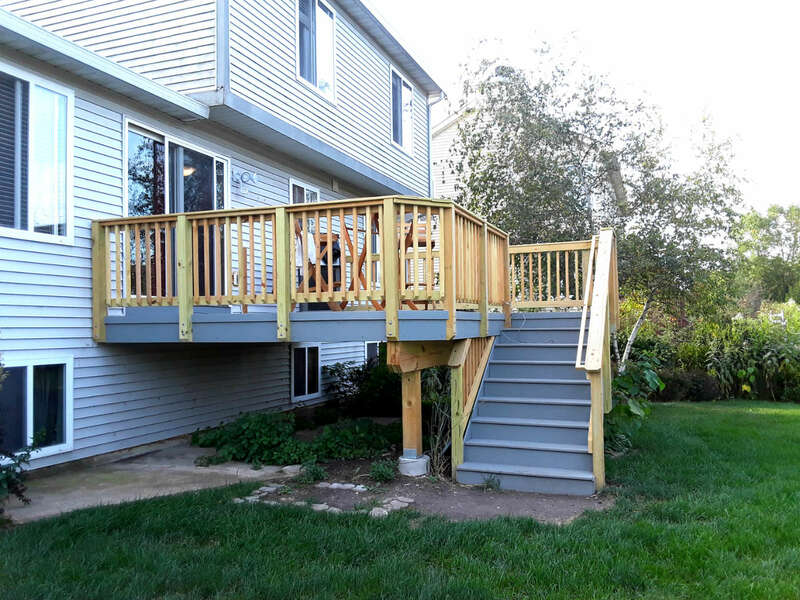 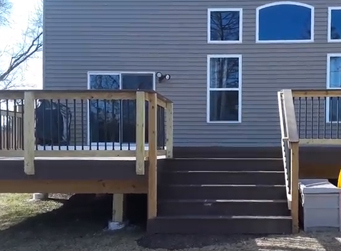 TimberTech Deck with Floating Bench by Lisle, IL Deck Builder.